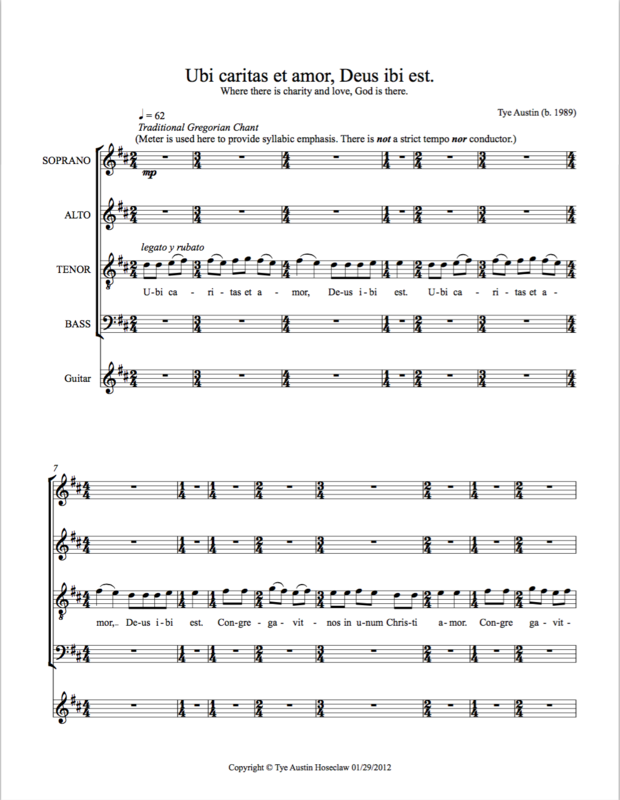 This is Tye's chorale composition based on the sacred Latin text, Ubi Caritas Et Amor, Deus Ibi Est (Where there is Charity and Love, God is There). This piece was commissioned by the Grace Lutheran Church of Ashland, Oregon and is scored for SATB and classical guitar accompaniment. Preview/purchase the score and listen to a midi audio recording below.